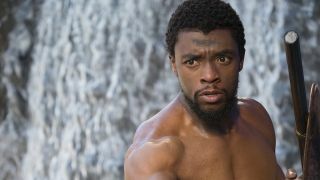 We talked about it, we prayed for it, we even dared to dream it might happen... but I don't think any of us really believed Black Panther would be nominated for Best Picture at the Oscars 2019 until the full list of nominees was revealed today (January 22). It's true though! This year's Oscar nominations are in and Black Panther is going up against BlacKkKlansman, Vice, The Favourite, A Star is Born, Green Book, Roma, and Golden Globe 2019 winner Bohemian Rhapsody for Best Picture. The first superhero movie to ever be nominated for Best Picture, this is a huge step forward for the Academy Awards, who some have suggested don't recognize popular blockbusters enough. It isn't the only MCU flick up for an Oscar this year though, with Avengers: Infinity War nominated in the Visual Effects category. It's not the only thing worth noting about this year's Best Picture nominees though, as Netflix's Roma also bagged a Best Picture nom, proving that it was worth the streaming service giving the film a cinematic release to qualify for the Oscars 2019. In fact, Alfonso Cuarón’s Roma has a total of 10 Oscar 2019 nominations, a sure sign that the Academy isn't overlooking Netflix Originals anymore. Other big Oscar nominees include the The Favourite, which, as well as it's Best Picture and Directing nominations, also has most of the cast up for awards with Olivia Colman nominated for Actress in a Leading Role and both Emma Stone and Rachel Weisz nominated for Actress in a Supporting Role. It's also a strong year for animated movies with Spider-Man: Into the Spider-Verse, Incredibles 2, Isle of Dogs, and Ralph Breaks the Internet all nominated for Animated Feature Film. But who will win? Let us know your Oscar winner predictions in the comments section below, check out how to stream the Oscars here, and read on for the full list of Oscar 2019 nominations.